Why hire an organizational development (OD) consultant? To provide a service to humanity. 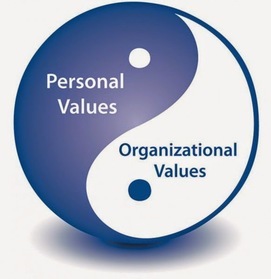 These two objectives are customarily dependent upon three dynamic and functional factors: people, values and processes. When these three factors are working in alignment, organizations are primed to provide valuable services and attain increased profits. Your organization can claim and exhibit "Organizational Excellence!" However, whenever one or more of these factors are out of alignment, quality of delivered services and/or earned profits are minimized. Many organizations are fortunate to have on staff decision makers that are familiar with organization development methodologies and are equipped with the skills to manage change, can recognize a decline in staff and/or process performance and then can lead efforts to maintain or improve operational performance. Similarly there are those organizations that lack staff members familiar with the principles and methodologies of organization development. They are often ill equipped to effectively manage change without significant disruption and confusion throughout the organization. It is in these instances that PV&P Consultancy, LLC is available to provide support for planned or unplanned operational change. Interested in knowing your Work Personality? Are you a "fit" within your organization?